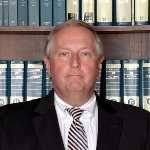 Kingery Durree Wakeman & O'Donnell, Assoc. Kingery Durree Wakeman & O'Donnell, Assoc., located in Peoria, Illinois, serves clients throughout all of Illinois. We are a civil litigation firm with practice areas including personal injury, wrongful death, worker's compensation, medical and professional malpractice, family law, products liability, insurance coverage, business and contractual law, school law (including special education issues), probate and fiduciary duty, appellate practice, and general practice. Kingery Durree Wakeman & O'Donnell, Assoc. 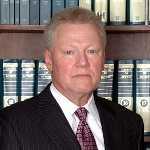 is included in the Martindale-Hubbel Bar Register of Preeminent Lawyers. The firm is admitted to practice before all courts of the State of Illinois, as well as the Federal District Court for the Central District of Illinois, the Seventh Circuit Court of Appeals, and the United States Supreme Court. The firm handles appeals in the Illinois Appellate Courts, the Supreme Court of Illinois, and the Federal Seventh Circuit Court of Appeals. 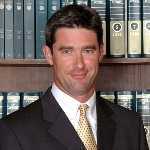 Kingery Durree Wakeman & O'Donnell, Assoc. will represent your Personal Injury legal matters. Areas of Law -General Civil and Trial Practice -Products Liability -Workers Compensation -Personal Injury -Medical and Professional Malpractice Law -Automobile Accidents -Wrongful Death -Dog Bites -Slip and Fall -School Law. Peoria County, Illinois State and American Bar Associations; Illinois Trial Lawyers Association; American Association for Justice; Illinois Association of Defense Trial Counsel; Worker's Compensation Lawyers Association. 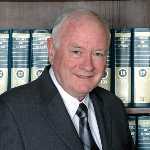 Member, Drake Law Review, 1973-1975. Author: "Iowa Rule of Civil Procedure 8: Recent Developments," Drake Law Review, January 1975. Peoria County (President, 1994-1995) and Illinois State Bar Associations; American College of Trial Lawyers; Illinois Trial Lawyers Association; American Association for Justice; American Inns of Court, Abraham Lincoln Chapter (Master Emeritus). Phi Kappa Phi. Member, National Moot Court Team. Law Clerk, U.S. District Court for the Southern District of Illinois, Northern Division, 1977-1978. Peoria County and Illinois State Bar Associations; Illinois Trial Lawyers Association; American Association for Justice; American Inns of Court, Abraham Lincoln Chapter (Emeritus). Peoria County and Illinois State Bar Associations; Illinois Trial Lawyers Association; American Association for Justice. Member, Mock Trial Team, 2001-2005. 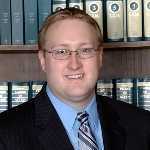 Trial Team and Associate Editor, Elder Law Journal, University of Illinois College of Law, 2006-2008. Peoria County and Illinois State Bar Associations.